Days 16 - 20 Of my Capturing December!!! Day 16 was Outside Christmas Lights. 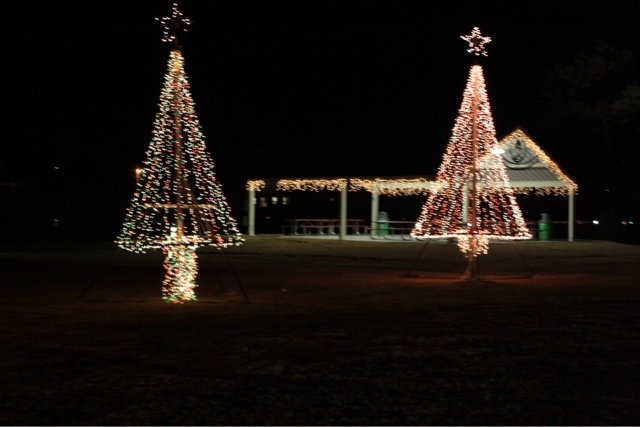 I found some pretty lighted Tree Fixtures at the Berry Hill Park in Searcy. Sadly not many folks have christmas lights put up on their house or I would have taken photos of their houses also lol. Day 17. I didn't take any because I accidently took those on the day 10. also, Oopsie doodles!! Day 18. 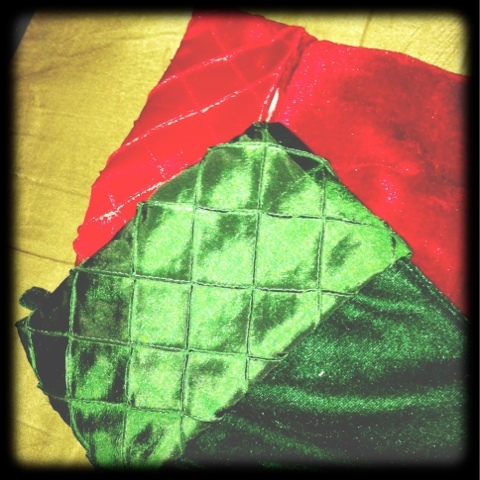 Stockings, I don't have our stockings feeled but in my Picture you at least get to see the colors of em. ;) Day 19. 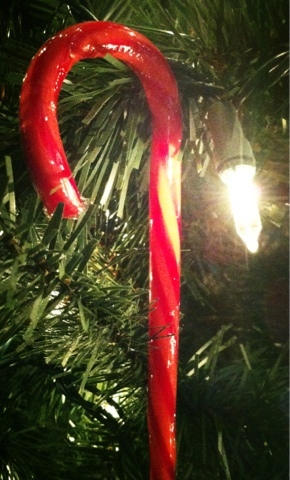 Candy cane , I photoed my Fave candy cane, STRAWBERRY. Very Nommy I shall say. and finally todays date 20. 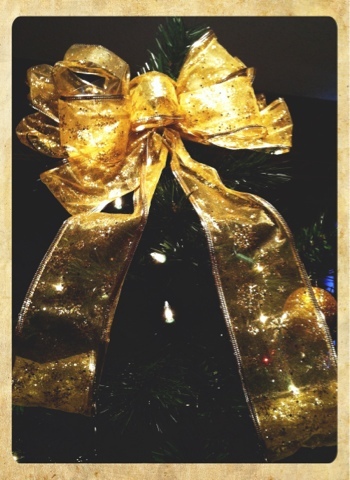 Tree Topper, We decided to have a Big Gold Sparkly Glittery Bow this year. I lOVE IT!!!! Fits our tree perfectly lol. Alrighty I hope you enjoyed the Pictures and Ta Ta For Now! !